The NEC NP03WI is an interactive multi-pen module with auto-calibration and responsive design. This module can transforms any existing flat surface into an interactive workspace when used in combination with NECs ultrashort throw UM Series or M2 short-throw projectors. This unit comes with dual stylus pens and calibration software. The NEC NP03WI has many exciting features for users of all types. 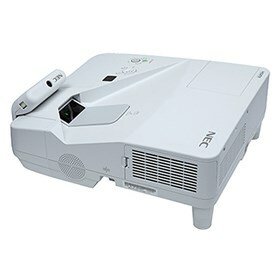 See the NEC NP03WI gallery images above for more product views. The NEC NP03WI is sold as a Brand New Unopened Item.